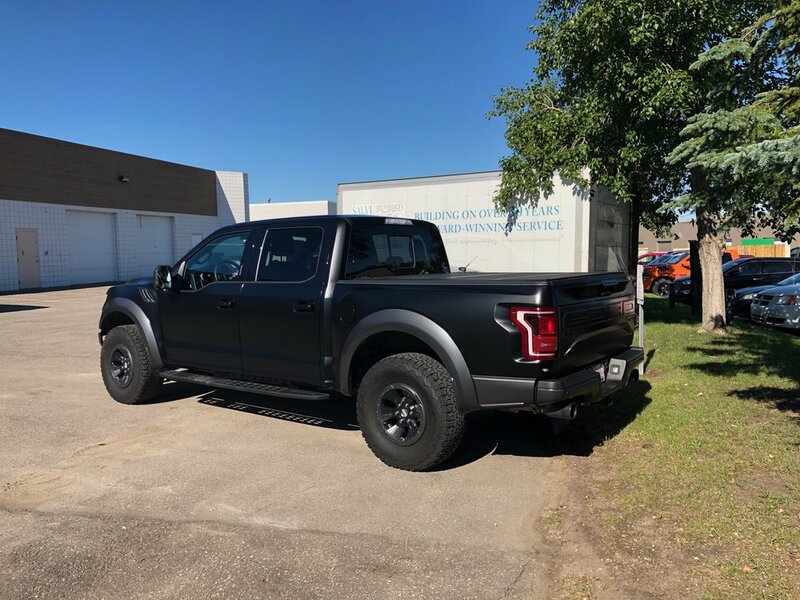 We had a client come in with his daily driven 2017 Ford F-150 Raptor. 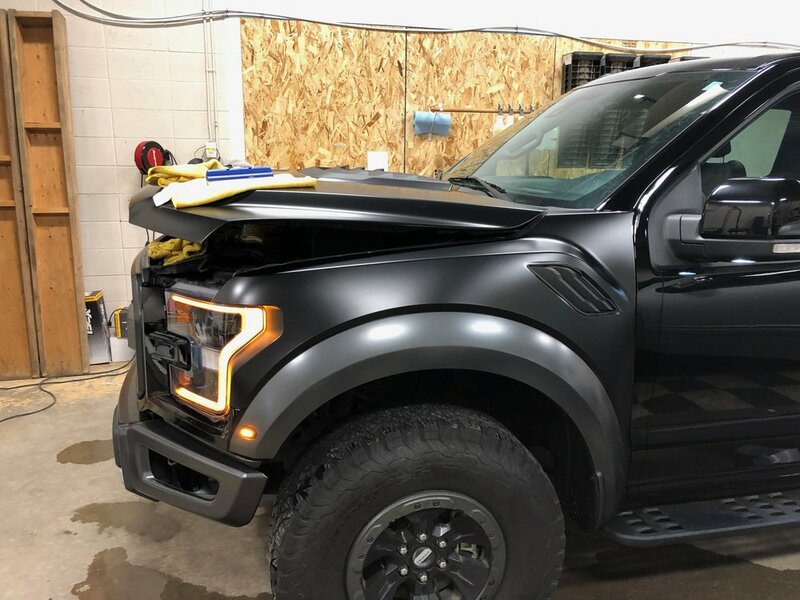 The body was in good shape and he was inquiring on wrapping the truck in a matte black film. 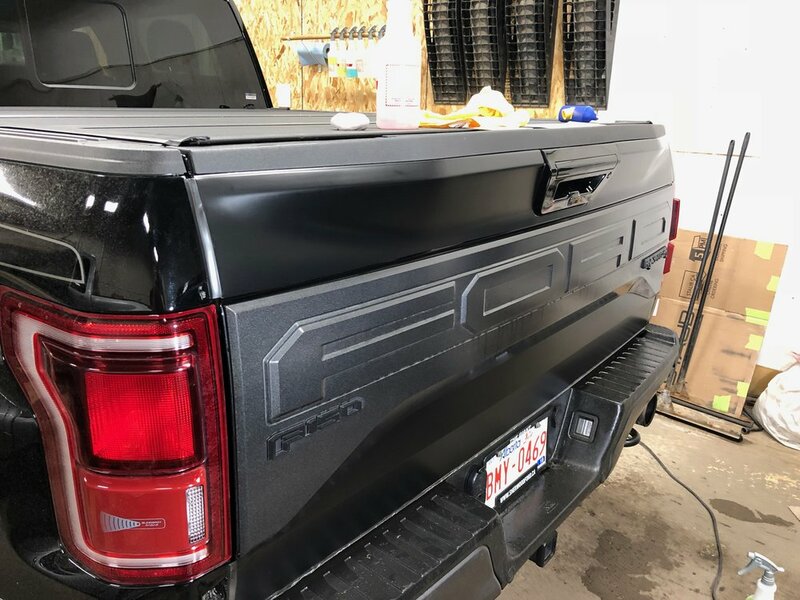 But we had something in the shop that not only would protect his paint but turn it into a matte black using the existing finish. 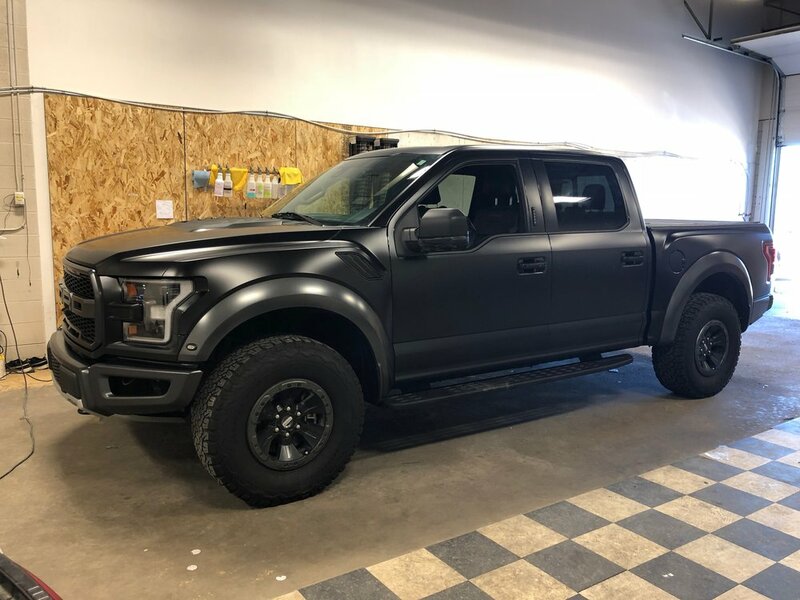 This product we use is a very unique product as it is a paint protection film that will give you a matte look! Best of both worlds here. The product we used is Xpel stealth. As you will see its transforming the glossy black in to a matte finish! The other wonderful properties of this film versus traditional wrap is the fact this film is self healing, scratch resistant, will not yellow or fade. Furthermore washing it is a breeze! Bugs and road debris just wont stick. When the vehicle comes into our shop we have a lot of prep work ahead of ourselves. All vehicle will get power and hand washed then we will clay bar and use a very specific wax that works with The Xpel Film products. As you can see in the gallery below the film does not just install its self! 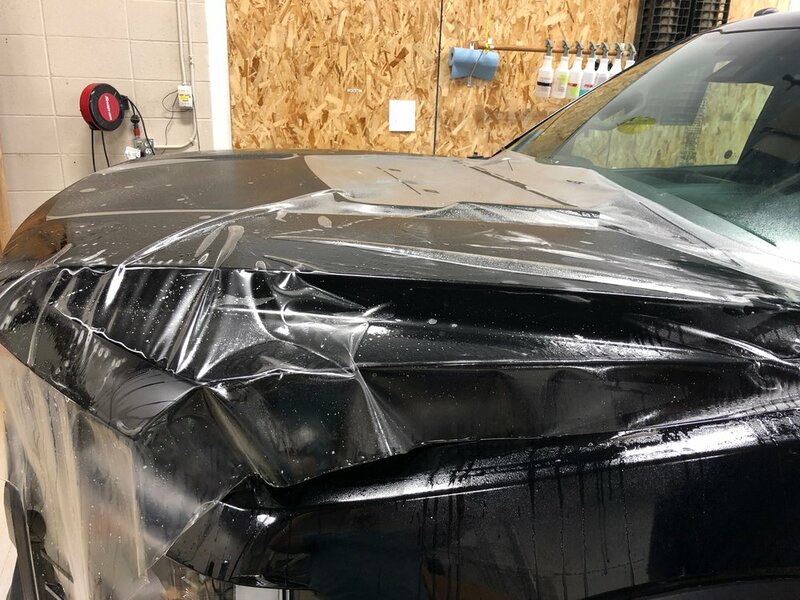 and being tat this is a full hood we have to remove any hood scoops or anything that will get into our way so you won't see a line when the product is finally installed. Now would you just look at that! With the job fully complete you can now see what this product can do for you and your vehicle. 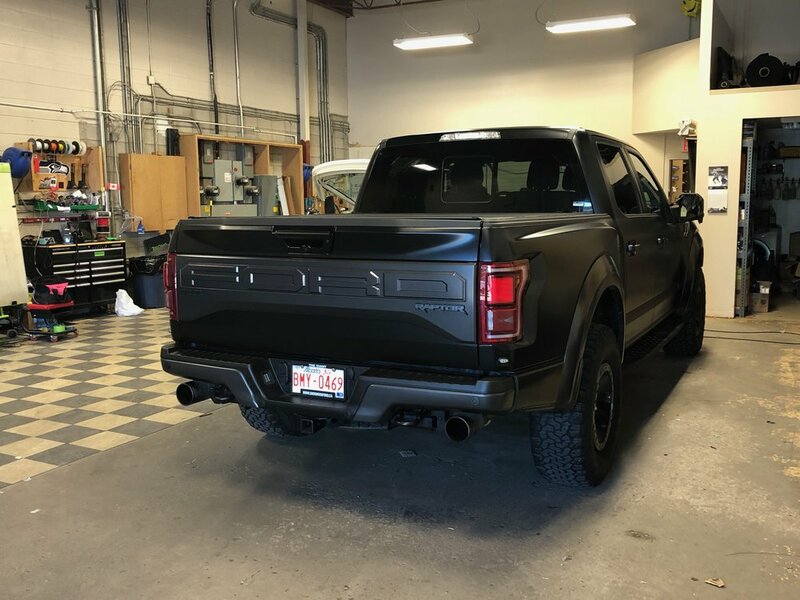 Xpel Stealth gives you the unique look without having to repaint your vehicle or use a traditional wrap that provides no protection from rocks or debris on Edmonton roads!